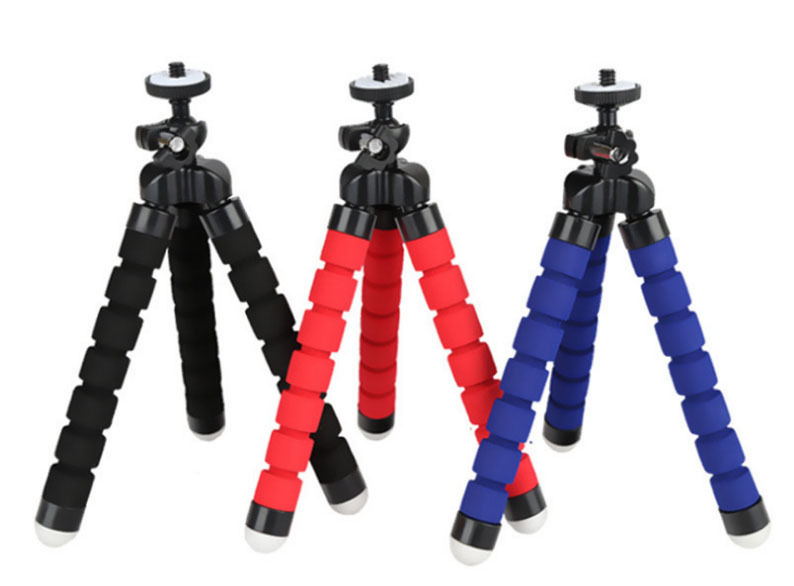 KT-600 Flexible Octopus Tripod is perfect companion when you want to take photo from difficult angle. 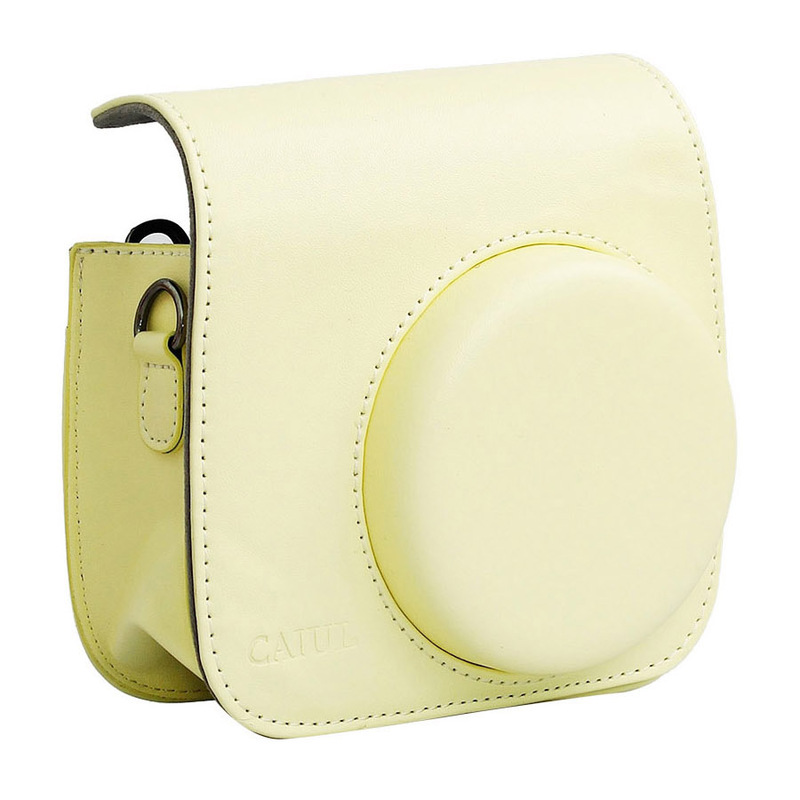 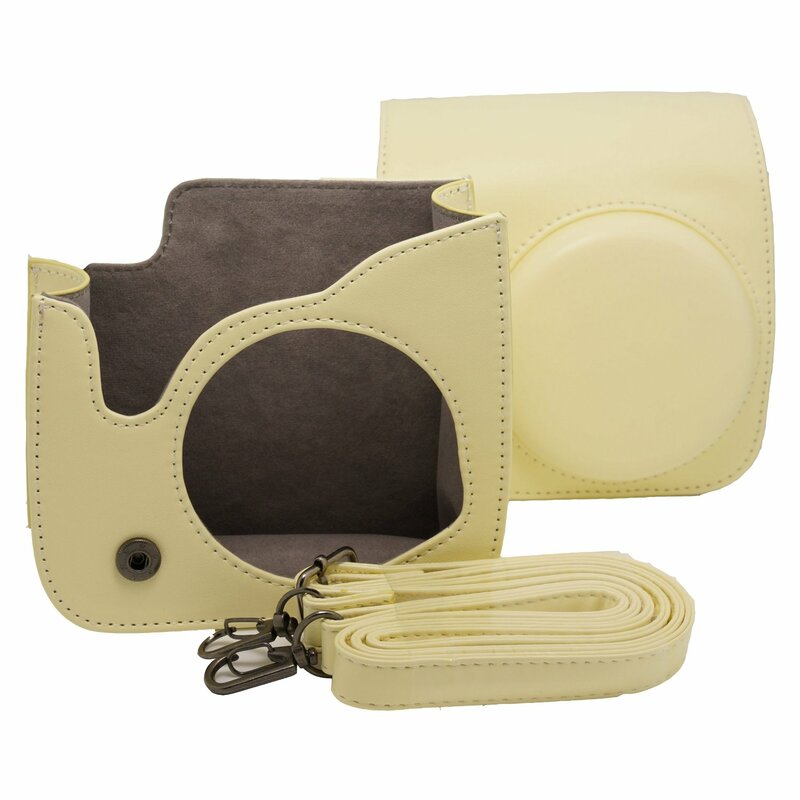 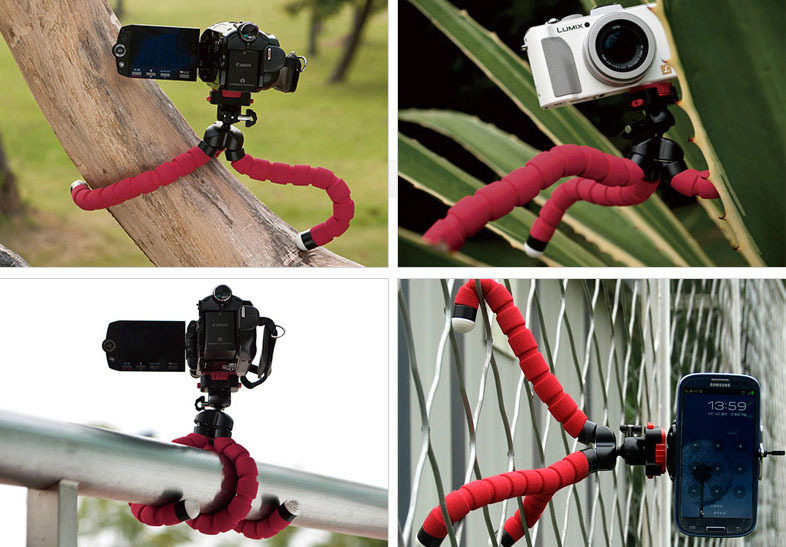 The versatile design allows you to mount and secure your camera to almost any object, like fence, branch of a tree and anywhere. 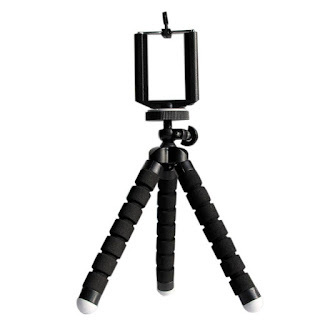 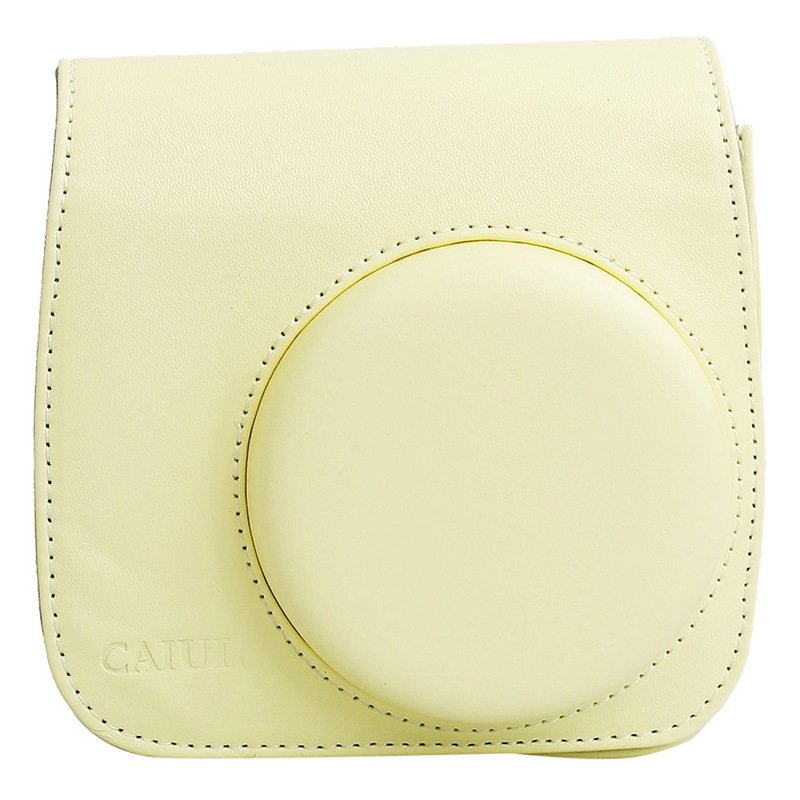 Coated leg gives you better grip so your camera or smartphone stay stable. 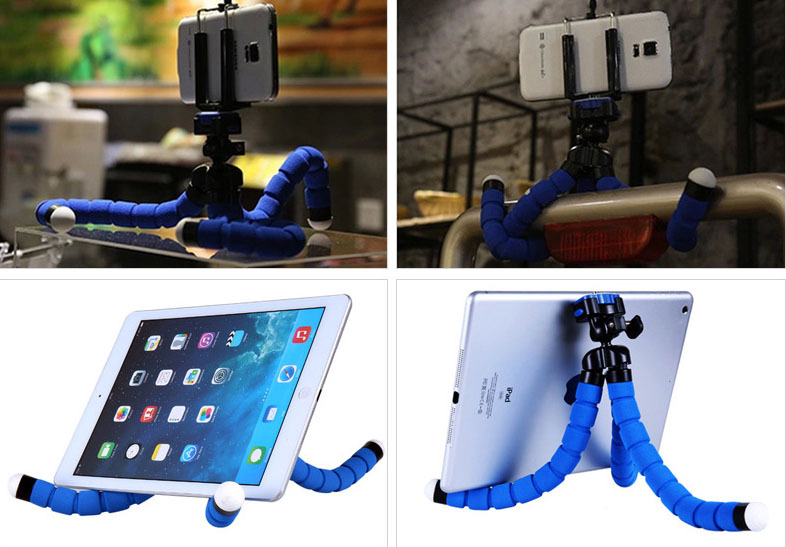 This tripod also can be used as smartphone or tablet stand or holder.